The town of Sóller is rather proud of the Gamba roja, a crustacean of the Aristeus antennatus species and one of Mallorca’s exquisite culinary delights. The Ajuntament de Sóller is the organizer of the Fira de la Gamba de Sóller which is held for the first time at the Mercat municipal de Sóller this weekend, March 7th (20h00 to 24h00) and 8th (12h00 to 16h00). 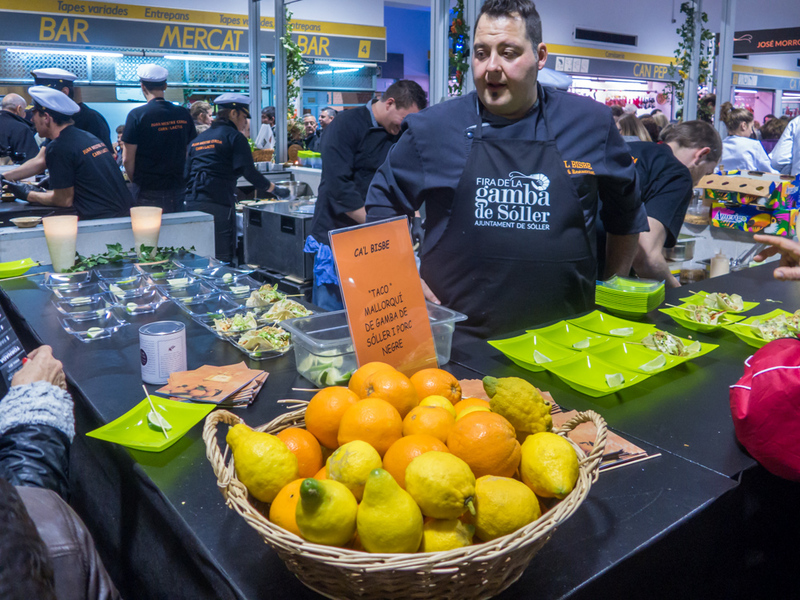 Eight top restaurants and their chefs present tapas of the sumptuous kind at 3 € each. I went there last night and it was well worth the trip from Felanitx to Sóller.